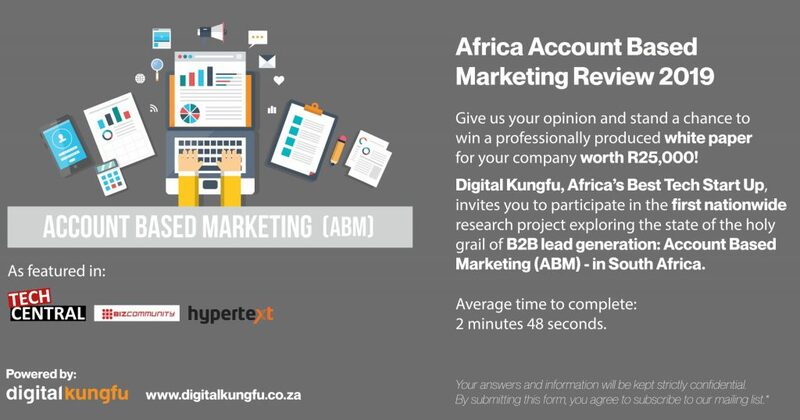 Digital Kungfu, Africa’s Best Tech Start Up, invites you to participate in the first nationwide research project exploring the state of the holy grail of B2B lead generation: Account Based Marketing (ABM) – in South Africa. ABM is the structured and strategic treatment of key accounts as markets in their own right. It is the traditional sales and marketing funnel flipped. 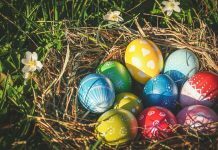 And while it may feel counterintuitive to put a lot of one’s eggs (budget) in one strategic basket, according to a survey from the Information Technology Services Marketing Association, 84 percent of businesses using Account-Based Marketing (ABM) report that this strategy delivers higher ROI than other marketing campaigns. Sometimes (and perhaps more accurately) termed “account-centric marketing”, ABM takes it queues from its target audience. The first step in any successful ABM campaign is the careful selection of target accounts based on a number of factors: buyer propensity, likelihood and estimated value of conversion and ability to reach stakeholders with personalised content. Buyer personas (and in the case of systematic ABM, actual individuals) are identified at critical phases of the buyer process and diverse stakeholder pain points are mapped. 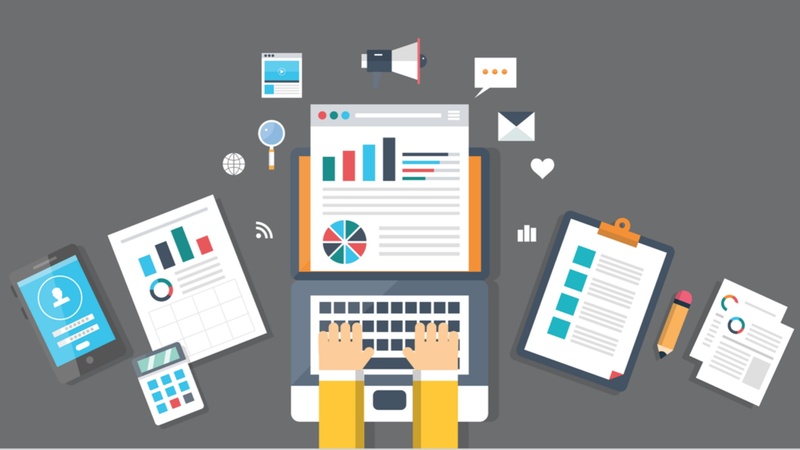 Personalised content is then generated and channelled to stakeholders, guiding each along a unique buyer narrative culminating in a common destination – conversion (and/or retention, and/or expansion!). “While ABM was clearly on the minds and agendas of a lot of sales and marketing execs, a lack of executional expertise seemed the primary obstacle to implementation of an ABM program”, says Brown. “We hope to gain a deeper insight into what is and isn’t working when it comes to lead generation and ABM in the ICT sector, and as pioneers in the space, to explore the potential of incorporating ABM into our client’s marketing strategies to further improve ROI”, says Brown. Click here to take the survey and stand a chance to win a white paper for your company worth R25 000. Note: Your answers and information will be kept strictly confidential and the average time to complete: 2 minutes 48 seconds.